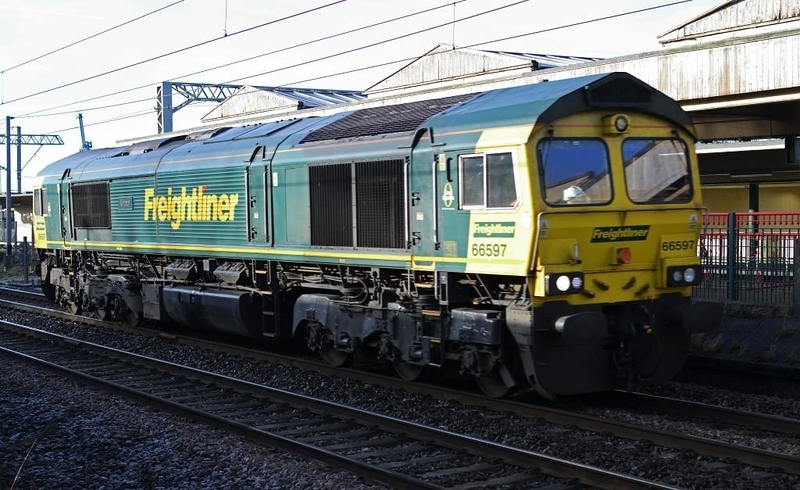 66597 Vidor, 0Z47, Carnforth, Wed 9 January 2019 - 1132. Freightliner's 0830 Basford Hall - Carlisle - Settle - Basford Hall route learner. It had run the previous two days.